Every mountain bike rider would know that the battle between flat pedals vs clipless pedals has been going on for years now. This article aims to end the war between these two pedals, and we invite you to join us as we go through the advantages and disadvantages of using each. 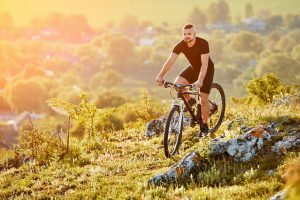 Back in the day, most mountain bike riders believed that you had to be “clipped in” to get all the benefits of riding a mountain bike. In a clipped in setting, the rider uses shoes with metal cleats that clip and secure the feet into the pedals. This system of mountain bike riding was akin to road riding. 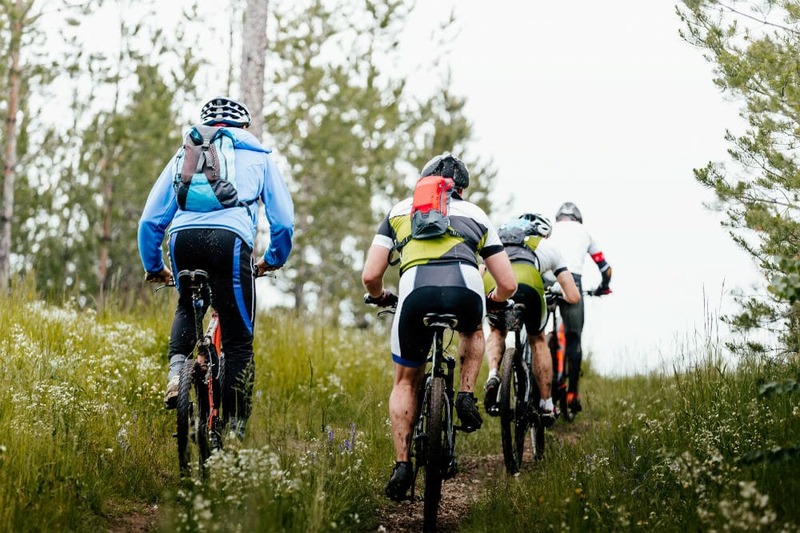 The rise in popularity of downhill riding and racing resulted in the invention of equipment that is specially designed for mountain bikes—disc brakes, rear tires, full suspension, and flat pedal systems. They are your standard bike pedals, which are quite similar to the ones that are used in BMX bikes because they both have a flat surface. Generally speaking, it is put a supportive foot down with flat pedals. This acts as an outrigger whenever they are taking fast corners. With clipless pedals, it is easy to cheat and develop bad habits when it comes to doing techniques. On the other hand, learning different techniques is easier with flat pedals because you get the option of an easy bailout, thus giving the rider more confidence. Same with any kind of trail, we are sometimes forced to come to a halt whether it be during a steep climb or descent. That being said, it is easier to get moving again when you are using a set of flat pedals instead of clipless pedals. 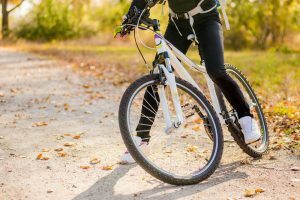 There are times that we are required to get off the bike and walk; a pair of flat pedal shoes is far more comfortable to walk in than its counterpart. Moreover, it offers a firmer and stronger grip. 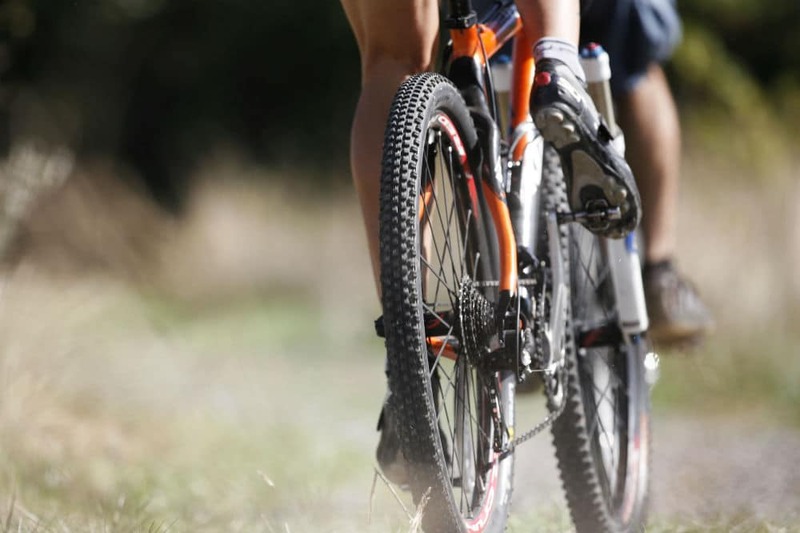 When riding on very rough terrains, there is a big possibility that your feet will be bounced off of the pedals. 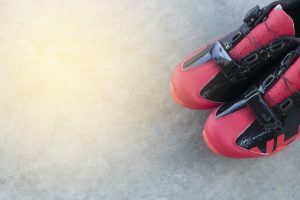 The pedal pins and soft soles of the flat pedal shoes, although offer a stable pedaling platform, are not enough to keep your feet firmly on the pedals as compared to when you are clipped in. 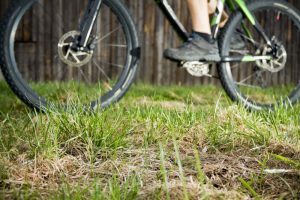 As an unfortunate consequence of having your feet bounced off of the pedals, you are most likely to get bruises on your shins as the pedals spin around wildly. 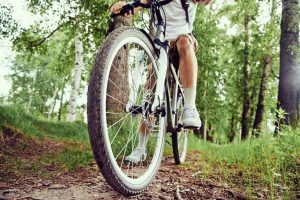 If your feet are clipped into the bike’s pedals, the power exerted in every pedal stroke is evenly distributed to the balls of your feet. This system of pedaling allows you to scrape more easily push over the top of every pedal stroke. As a result, you also get improved efficiency when it comes to pedaling technique. Clipless pedal shoes have a greater stiffness compared to flat pedal shoes, which contribute to the improvement of power transfer. This means that all the energy exerted by your leg muscles are directly transferred to the pedals. With flat pedal shoes, a percentage of the pedal stroke’s power is absorbed by its soft cushions. 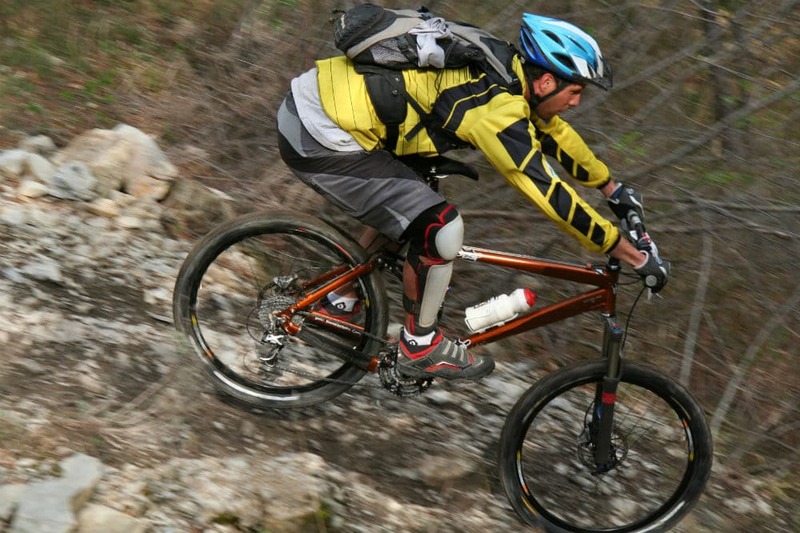 With clipless pedals, you can be sure that your feet stay in place no matter the terrain. Additionally, it also stays in the most comfortable position possible. 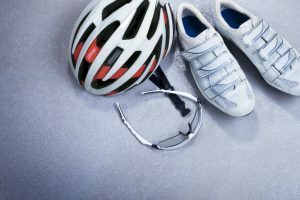 Regardless of the size of your feet, it will remain in the most optimal cycling position, which is when the balls of your feet are seated firmly on the pedals. Everyone who uses clipless pedals knows the difficulties of having to unclip. Most especially when riding uphill, it is hard to get going again when you have clipless pedals as compared to flat pedals. 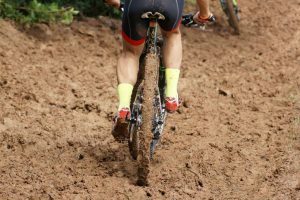 Under extreme conditions, it is hard to use clipless pedals because they easily get clogged up, such as when it is snowing or in muddy areas. Just like with any other equipment, the choice between flat pedals vs clipless pedals comes down to personal preference. There are riders who like to switch between the two depending on the riding type and the trail they are doing. It is common for cross-country riders to use clipless pedals. 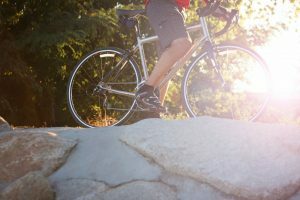 On the other hand, riders who go on technical trails or practice new techniques prefer to use flat pedals.